You are looking south on 6th Street between Hennepin Avenue and Nicollet Mall. 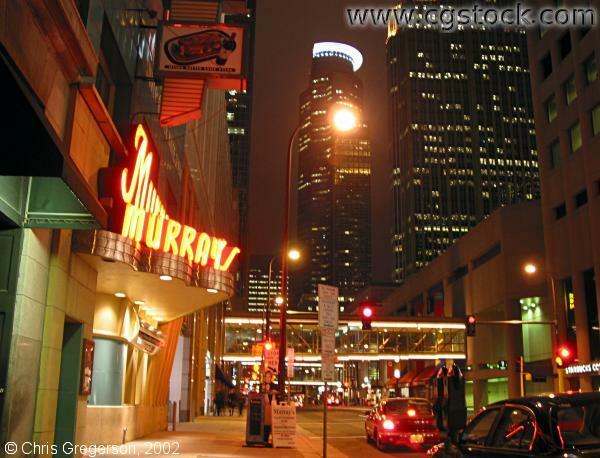 Murray's Restaurant is on the left. The US Bank tower is in the center background. City Center is across the street on the right.